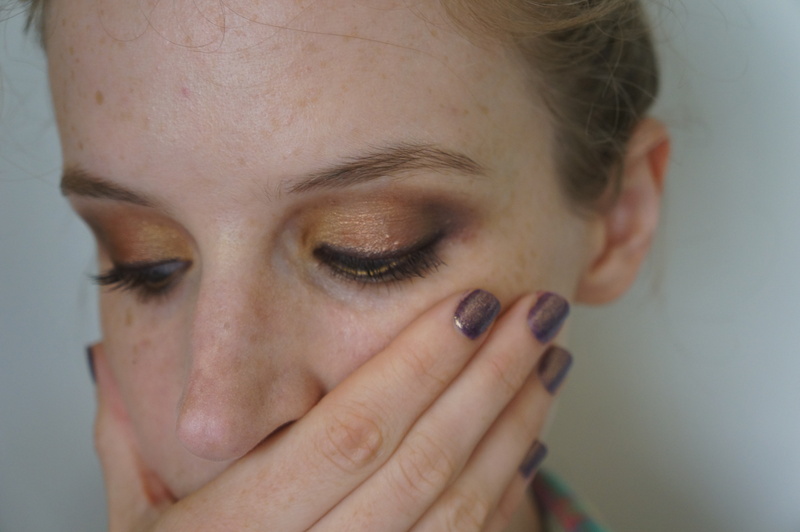 You’ll need three shades of eyeshadow: gold, copper, and dark purple. I used the gold and copper in my BareMinerals The Star Treatment palette, which I’ve written about several times before (it’s great!). The purple I used is Urban Decay’s Half Truth, a muted smokey purple. Apply the gold to the inner third of your lid, copper to the other two thirds, and purple at the outer corner of your eyes. 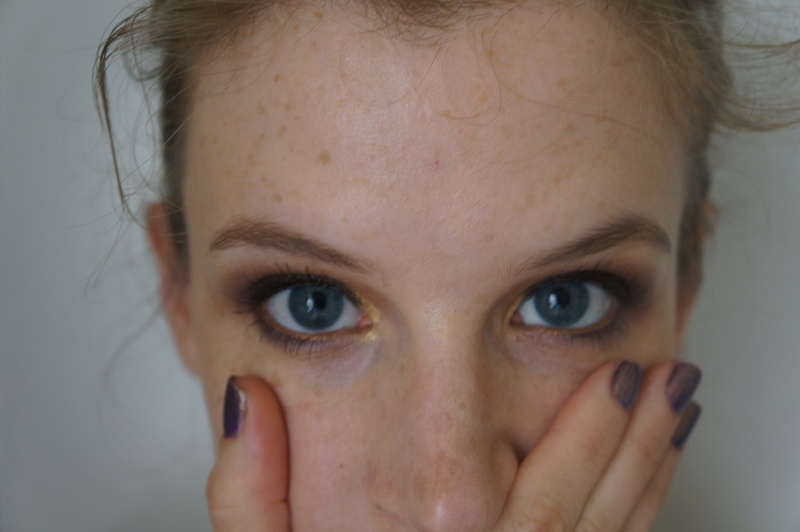 Next I used two eyeliners: Urban Decay’s Rockstar, a deep purple, and L’Oreal HIP liner in Gold Charge. I applied purple to the upper lid in a thick line and on a thin line on the lower lid. 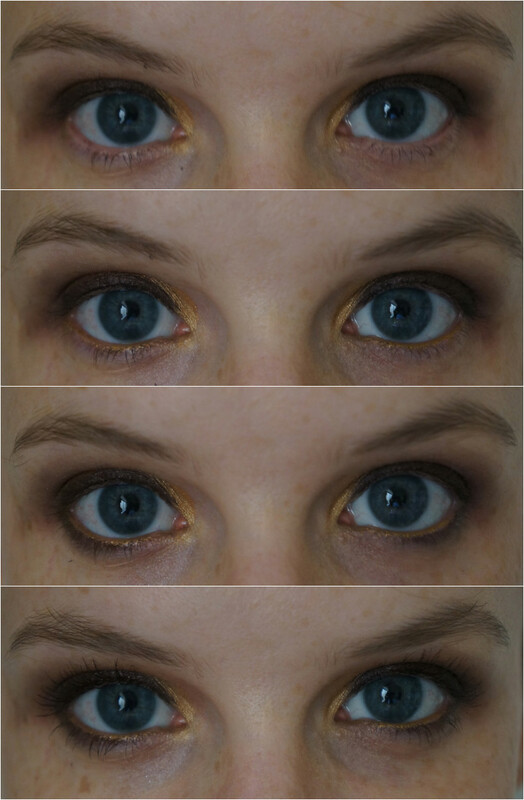 I used the gold eyeliner along my lower water line, and finished the eye look with several coats of black mascara. I love the combination of the warm gold and the cool purple. 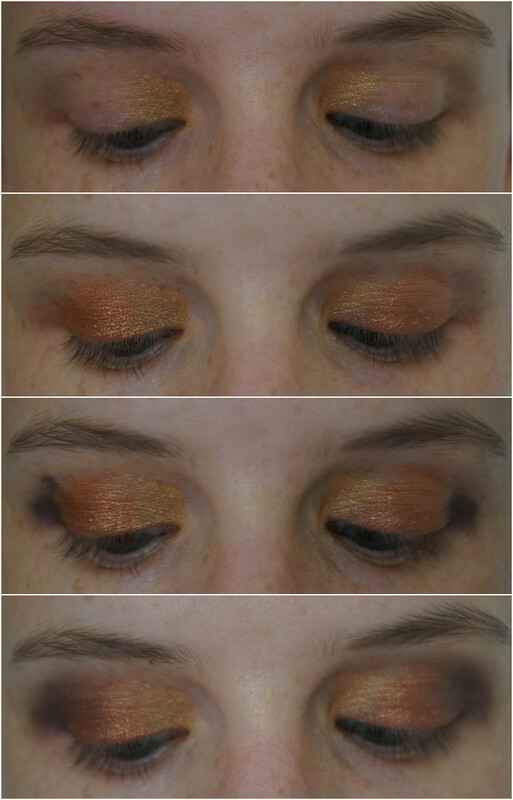 It’s an intense smokey eye, but the color is not as harsh as black smudged liner. What do you think? Oops, didn’t mean to tell you all of my secrets.